Talk about Girl Power! She's got it! Fans of Thor Girl are going to want this 3 3/4-inch tall Thor Girl 12 oz. Ceramic Mug in their hot little hands! 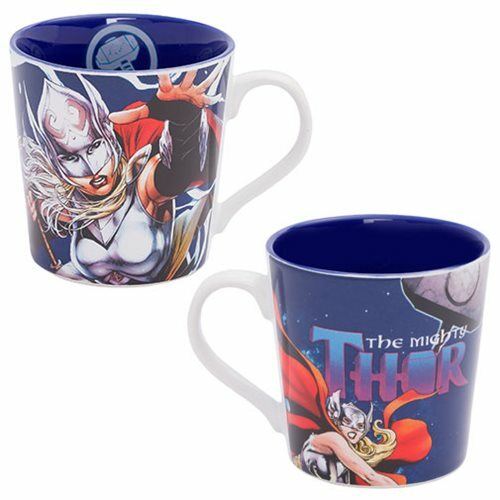 Made from high-quality stoneware in a unique shape, it features bold, bright images of Tarene Olson in action on both the front and back, along with the words "The Mighty Thor." And there's another image inside! The mug comes in a full-color gift box. Dishwasher and microwave safe. Ages 14 and up.